The American Lyceum movement began the same year that the Tamworth Lyceum building was constructed; 1826. We design our food, events and gifts to nurture the mind, body and spirit. 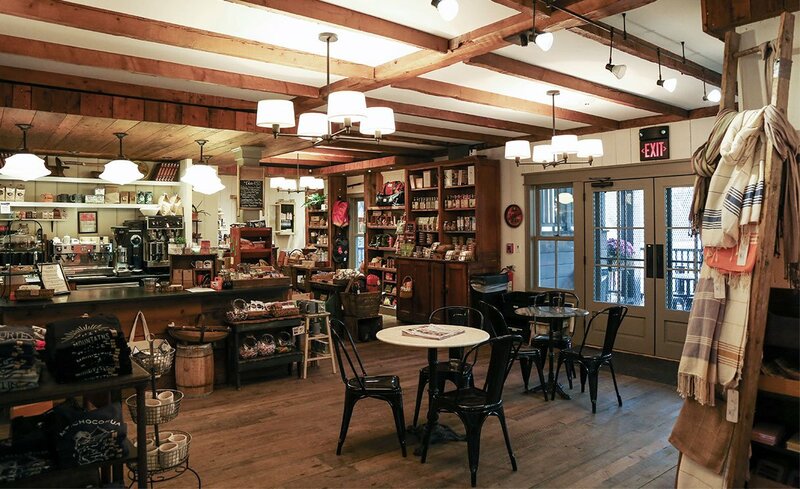 The Tamworth Lyceum is a café, event space, gift shop and natural grocer nestled in historic downtown Tamworth. A great community space for locals as well as travelers and vacationers. Food plays a big role in how communities reinvent themselves. You see it in major cities and tucked away towns across the country. At the Tamworth Lyceum we stay true to the classic, New England roots while borrowing from cultures across the globe. The Lyceum offers a rare opportunity to see amazing artists in an intimate, cozy space. There is not a bad seat in the house and we offer local brews, tasty wines and mead. Our kitchen is open and we offer dinner specials for evening events as well! This Privacy Statement sets forth the information gathering, use, and dissemination practices of Tamworth Lyceum (“TL”) in connection with the World Wide Web site located at www.artintheage.com (the “Site”). This Privacy Statement addresses TL’s practices regarding information collected only directly through or from the Site it does not address or govern any information gathering, use, or dissemination practices related to information collected other than directly through or from the Site, including, without limitation, from or via telephone, facsimile, postal mail, personal delivery, or other or additional offline means or media. TL can be contacted by mail 85 Main Street, Tamworth, NH 5120, by phone at 603.323.5120. TL may collect or track (1) the home server domain names, e-mail addresses, type of client computer, files downloaded, search engine used, operating system, and type of Web browser of visitors to the Site, (2) the e-mail addresses of visitors that communicate with TL via e-mail, (3) information knowingly provided by the visitor in online forms, registration forms, surveys, e-mail, contest entries, and other online avenues (including, without limitation, demographic and personal profile data), and (4) aggregate and user-specific information regarding which pages Site visitors access. TL may place Internet “cookies” on visitors’ hard drives. Internet cookies save data about individual visitors, such as the visitor’s name, password, user-name, shopping cart, screen preferences, and the pages of a site viewed by the visitor. When the visitor revisits the Site, TL may recognize the visitor by the Internet cookie and customize the visitor’s experience accordingly. Visitors may decline Internet cookies, if any, by using the appropriate feature of their Web client software, if available. When a visitor performs a search within the Site, TL may record information identifying the visitor or linking the visitor to the search performed. TL may also record limited information for every search request and use that information to solve technical problems with the services available directly or indirectly in connection with the Site and to calculate overall usage statistics. Personal data collected by TL may be used by TL for many reasons, for example, for editorial and feedback purposes, for marketing and promotional purposes, for a statistical analysis of users’ behavior, for product development, for content improvement, for fulfillment of a requested transaction or record keeping, or to customize the content and layout of the Site. Aggregate data on visitors’ home servers may be used for internal purposes, and individually identifying information, such as names, postal and e-mail addresses, phone numbers, and other personal information which visitors voluntarily provide to TL may be added to TL’s databases and used for future calls and mailings regarding Site updates, new products and services, and upcoming events. TL also may use Site visitor data to contact the Site visitors regarding account status and changes to the submissions agreement, privacy statement, and any other policies or agreements relevant to Site visitors. TL shall not disclose any of your personally identifiable information to third parties. Notwithstanding the foregoing, TL may disclose or distribute identifiable or non-identifiable data to a third party with which TL enters or reasonably may enter into a corporate transaction, such as, for example, a merger, consolidation, acquisition, or asset purchase, or to a third party pursuant to a subpoena, court order, or other form of legal process, in response to a request by or on behalf of any local, state, federal, or other government agency, department, or body, whether or not pursuant to a subpoena, court order, or other form of legal process, or if determined by TL in its sole judgment that such disclosure or distribution is appropriate to protect the life, health, or property of TL or any other person or entity. While TL may undertake efforts to see that such third party is under a contractual obligation to use the personal data solely for the purposes for which the data was disclosed, such third parties may be independent third parties over which TL may not exercise control, and TL is not responsible for their conduct, actions, omissions, or information handling or dissemination practices and TL will not be liable therefor. This Site may contain links to other World Wide Web sites or advertisements for or placed by third parties. TL is not responsible for the privacy practices of such Web sites, advertisers, or third parties, or for the content of such sites or advertisements. It is possible that these links or advertisements, themselves, may be used by third parties or others to collect personal or other information about Site visitors. It is solely the visitors’ obligation to review and understand the privacy practices and policies of these other Web sites and of these advertisers and third parties. TL has implemented numerous security features to prevent the unauthorized release of or access to personal information. For example, credit and debit card details are sent by secure SSL encrypted means to process the payment of any and all orders. Please be advised, however, that the confidentiality of any communication or material transmitted to or from TL via this Site or e-mail cannot be guaranteed. Accordingly, TL is not responsible for the security of information transmitted via the Internet. 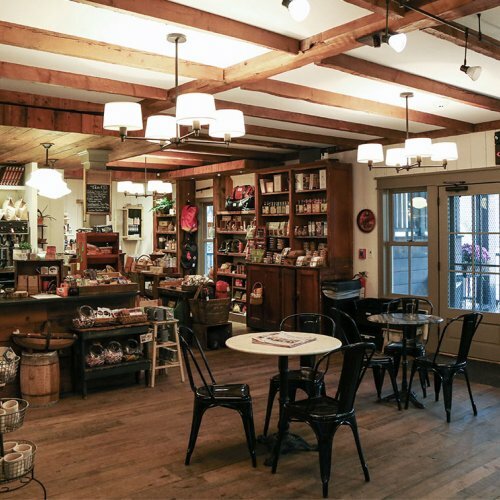 Instead of communicating with TL via e-mail or the Internet, visitors can contact TL by mail at 85 Main Street, Tamworth, NH 5120, by phone at 603.323.5120. Upon a visitor’s request via postal mail, e-mail, or phone, TL will provide to the visitor a summary of any personally identifiable information retained by TL regarding the visitor, which information has been voluntarily provided to TL through an account registration, customer order, or electronic news or information subscription. A visitor may modify, correct, change or update their personally identifiable information by contacting TL via postal mail, e-mail, or telephone at the addresses or numbers above. To the extent that TL is able to determine the age of users by their submissions to or communications with the Site, TL will not knowingly collect, use, or disclose personally identifiable information from individuals under the age of eighteen (“children”) without their parent’s or guardian’s consent, which information has been voluntarily provided to TL through an account registration, customer order, or electronic news or information subscription. Upon request from a parent or guardian of a child who has provided such personally identifiable information to the Site, TL will (i) provide to the parent or guardian a description of the specific types of information collected from the child, (ii) provide to the parent or guardian a means and stated procedures to review such information and to halt future disclosure, use, and maintenance of such information (e.g., the parent or guardian has the option to consent to the collection and use of their child’s personally identifiable information without consenting to the disclosure of that information to third parties), as applicable, (iii) cease collection in the future of such information from the child, or (iv) provide any combination of the foregoing. TL is prohibited from conditioning a child’s participation in an activity on the child’s disclosing more personally identifiable information than is reasonably necessary to participate in such activity. TL reserves the right to contact Site visitors regarding account status and changes to the subscriber agreement, privacy statement, and any other policies or agreements relevant to Site visitors. TL may change this Privacy Statement at any time. It is the obligation of users visiting the Site to familiarize themselves with this Privacy Statement. Any change to this Privacy Statement shall be effective as to any visitor who has visited the Site before any change was made. The following Terms and Conditions (“Terms and Conditions”) govern your use of the World Wide Web Site located at www.tamworthlyceum.com (the “Site”). By accessing, viewing, or using the content, material, or services available on or through this Site, you indicate that you have read and understand these Terms and Conditions, and that you agree to them and intend to be legally bound by them. If you do not agree to these Terms and Conditions, you are not granted permission to use this Site and must exit immediately. All works of authorship, information, content, and material appearing on or contained in this Site (“Site Materials”) are protected by law, including but not limited to, United States copyright law. Except as explicitly stated in the Site, the entirety of the Site Materials (including, without limitation, data, illustrations, graphics, audio, video, photographs, pictures, illustrations, recordings, drawings, sketches, artwork, images, text, forms, and look and feel attributes) are ©2012 Tamworth Lyceum, all rights reserved. Tamworth Lyceum (“TL”) also owns a copyright in this Site as a collective work and/or compilation, and in the selection, coordination, arrangement, organization and enhancement of the Site Materials. Removing or altering any copyright notice or any other proprietary notice on any Site Materials is strictly prohibited. Any commercial use of any or all Site Materials, in whole or in part, without the prior written consent of TL, is prohibited. Any reproduction, distribution, performance, display, preparation of derivative works based upon, framing, capturing, harvesting, or collection of, or creating of hypertext or other links or connections to any Site Materials or any other proprietary information of TL, without TL’s advance written consent, is prohibited. All names, trademarks, service marks, symbols, slogans, and logos appearing on the Site are proprietary to TL or its licensors. Use or misuse of these trademarks is expressly prohibited and may violate federal and state trademark law. (a) TL encourages visitors to submit feedback and suggestions about how to improve our products, information, services, and this Site as a whole, as well as various photographs, sound recordings, motion pictures, visual images, videos, song lyrics and/or other materials (collectively, “Submissions”). By transmitting any Submissions, which shall also include suggestions, information, data, material, or other content, to TL, you automatically grant TL (i) the royalty-free, perpetual, irrevocable, non-exclusive right and license to use, reproduce, modify, adapt, publish, translate, create derivative works from, distribute, redistribute, transmit, perform and display any or all of such Submissions (in whole or part) throughout the universe and to incorporate such in other works and in any form, media, or technology now known or later developed for the full term of any rights that may exist in such Submission(s); and (ii) the right to use your name, likeness, voice, photograph, and any other indicia of identity and information provided to TL by you, in connection with the use, exploitation, promotion and/or advertising of the Submission(s) and/or the Site. Further, TL is free to use any ideas, concepts, methods, know-how, techniques, and processes contained in any communications you send to this Site for any purpose whatever, including, but not limited to, creating and marketing products, information, or services using such information. (b) By transmitting any Submission(s) to TL, you hereby represent and warrant to TL that: (i) you are of legal age to enter into contracts (i.e., you are eighteen (18) or older); (ii) you have all rights, approvals and/or consents necessary to submit the Submission(s) on the Terms provided herein; (iii) no permission is required from any other individual or company for TL to use the Submission(s); (iv) the materials contained in the Submission(s), including, without limitation, the script or screenplay, characters, ideas, compositions, recordings, lyrics, drawings, depictions, photographs and other materials, are original, were created only by you, do not contain any “samples” or excerpts from the material of others, and do not otherwise infringe on the intellectual property rights of any other individuals or companies; (v) the Submission(s) does not and will not violate any laws or be defamatory, libelous, pornographic or obscene; (vi) you are not bound by any contract that would prohibit you from agreeing to these Terms and Conditions; (vii) you will not hold TL liable for copyright or trademark infringement based, in whole or in part, upon TL’s access to and use of the Submission(s); and (vi) the Submission(s) will not contain any “viruses” or other information that may damage or otherwise interfere with TL’s computer systems or data, or the computer systems or data of users of TL’s website. You shall be fully responsible for any breach of the representations and warranties made to TL under this paragraph, and you shall indemnify TL and hold TL harmless from and against any and all claims, liabilities, actions, losses, damages and costs, including reasonable attorneys’ fees, arising from any such breach. (c) SJ shall have the right to review your Submission(s) and, in its sole discretion, decline to post and/or remove any Submission(s) for any reason or for no reason at all, at any time, and without notice. (d) You may request that TL delete your Submission(s) from the Site by emailing TL at info@tamworthlyceum.com with your request. Upon receipt of your emailed request, TL will promptly delete your Submission(s) from our system and Site; however, TL disclaims any and all responsibility for any copies of your Submission(s) that may have been made by a user of our Site before your Submission(s) was removed. Given the nature of the Internet, the transmission of any communication or material to TL via the Site or Internet electronic mail, whether encrypted or otherwise, cannot be guaranteed as secure. Alternative to communicating via the Internet or electronic mail, TL can be contacted by regular mail at 85 Main Street, Tamworth, NH 03886, by phone at (603) 323-5120. TL has a Privacy Statement setting out TL’s online information gathering and dissemination practices with respect to the Site. Click here to view the Privacy Statement, which is incorporated into these Terms and Conditions by reference, as if set forth fully herein. This Site and the information contained herein does not constitute an offer or a solicitation of an offer for the purchase or sale of any securities. This Site may contain information and press releases about TL, and although this information was believed to be accurate as of the date prepared, TL disclaims any duty or obligation to update such information. To the extent that any information is deemed to be a “forward looking statement” as defined in the rules and regulations of the Securities Act of 1933, as amended, such information is intended to fit within the “safe harbor” for forward looking information and is subject to material risk factors which may or may not be disclosed herein. TL makes no representations or warranties, and disclaims all representations and warranties, with respect to this site, the site materials on and in and made available through this site, and the services, information, and products offered in connection therewith, express or implied, written or oral, arising from course of dealing, course of performance, usage of trade, or otherwise, including, but not limited to, the implied warranties of merchantability, fitness for a particular purpose, accuracy, systems integration, non-interference, quality, title, and non-infringement. The entire risk as to satisfactory quality, performance, accuracy, and effort with regard to any and all site materials on and in and made available through this site is with you. TL shall not be liable for any direct, special, indirect, incidental, consequential, exemplary, extra-contractual, or punitive damages of any kind whatever, including, without limitation, lost revenues or lost profits, which may or does result from the use of, access to, or inability to use this site, the site materials on and in and made available through this site, or the services, information, and products offered in connection therewith, regardless of legal theory, whether or not any party had been advised of the possibility or probability of such damages, and even if the remedies otherwise available fail of their essential purpose. under no circumstances will the total liability of TLto you or any other person or entity in connection with, based upon, or arising from this site, the site materials on and in and made available through this site, or the services, information, or products offered in connection therewith exceed the price paid by you for use of this site. TL endeavors to keep the Site and Site Materials on, in, and through this Site up-to-date. Without limiting anything else in these Terms and Conditions or otherwise, TL is not responsible for any errors or omissions in the Site or Site Materials. TL may make changes to the Site or Site Materials, or to the products, information, or services made available in connection with this Site, at any time with or without notice, and TL makes no commitment to update the information contained on or in this Site. TL reserves the right to terminate your access to this Site in the event that you violate these Terms and Conditions or for any reason whatever or no reason, with or without notice, in addition to any and all other remedies available at law or in equity. You agree to defend, indemnify, and hold harmless TL, its affiliates, its contractors, and all of their respective directors, officers, employees, representatives, proprietors, partners, shareholders, servants, principals, agents, predecessors, successors, assigns, accountants, and attorneys from and against any and all suits, actions, claims, proceedings, damages, settlements, judgments, injuries, liabilities, obligations, losses, risks, costs, and expenses (including without limitation attorneys’ fees and litigation expenses) relating to or arising from this Site, your use of this Site, your Submission(s) to the Site, your fraud, violation of law, or willful misconduct, and any breach by you of these Terms and Conditions. This Site may, from time to time, contain links to other Internet Web sites for the convenience of users in locating information, products, or services that may be of interest. These sites are maintained by organizations over which TL exercises no control, and SJ expressly disclaims any and all responsibility for the content, the accuracy of the information or quality of products or services provided by or advertised on these third-party sites. Without limiting anything else in these Terms and Conditions or otherwise, TL is not responsible for any errors or omissions in the Site or Site Materials, or for the information, links, text, graphics, or other items made available on other Web sites or by third parties. Use of the Internet is solely at your own risk and is subject to all applicable local, state, national, and international laws and regulations. Without limiting anything else in these Terms and Conditions or otherwise, neither TL nor it contractors will be liable for any loss resulting from failure of electronic or mechanical equipment or communication lines, telephone or other interconnect problems, computer viruses, unauthorized access, theft, operator errors, severe weather, earthquakes, natural disasters, strikes or other labor problems, wars, or governmental restrictions. These Terms and Conditions, including, without limitation, the Privacy Statement, represent the entire agreement between you and TL with respect to the subject matter hereof, and supersede any and all prior and contemporaneous written and oral representations, understandings, and agreements, express and implied, and will be governed by and construed in accordance with the laws of the Commonwealth of Pennsylvania, without reference to its conflict of law rules; Provided, however, that the Terms of any applicable law now or hereafter enacted that is based on, derived from, similar to, or connected with the uniform computer information transactions act drafted by the national conference of commissioners on uniform state laws shall not apply except to the extent that the law expressly prohibits alteration by these Terms and Conditions of the applicability of one or more sections of the law. By accessing, viewing, or using the works, content, or materials on this Site, you consent to the exclusive jurisdiction of the federal and state courts presiding in Philadelphia County, Pennsylvania, and agree to accept service of process by personal delivery or mail and hereby waive any and all jurisdictional and venue defenses otherwise available. This Site is controlled and operated by TL from its offices within the United States. Without limiting anything else, TL makes no representation that the works, content, materials, services, information, or products available on, in, or through the Site are appropriate or available for use in other locations, and access to them from territories where they are illegal is prohibited. Those who choose to access this Site from other locations do so on their own volition and are responsible for compliance with applicable laws. The waiver or failure of TL to exercise in any respect any right provided hereunder shall not be deemed a waiver of such right in the future or a waiver of any of other rights established under these Terms and Conditions. Headings used in these Terms and Conditions, including, without limitation, the Privacy Statement, are for reference only and shall not affect the interpretation of these Terms and Conditions (or the Privacy Statement). The waiver or failure of TL to exercise in any respect any right provided hereunder shall not be deemed a waiver of such right in the future or a waiver of any of other rights established under these Terms and Conditions.